Category Management – The Discussion Continues……..
You are at:Home»Blog-News U can Use»Strategic Sourcing vs. Category Management – The Discussion Continues……..
Strategic Sourcing vs. Category Management – The Discussion Continues……..
Last week Anne Kohler wrote about the recent PERT (Procurement Executive Round Table) meeting and the discussion around Category Management (“CM”) and I would like to continue that. As you saw, we published a Maturity Model in 2001 (since updated a few times) and many of you who are our clients are quite familiar with it – we use it extensively in our Transformation practice 🙂 . Let’s take a look at what the 1st domain in that model (Strategy) looks like under Category Management. There are seven attributes that we look for when we do an Assessment of a client or plan for when we deliver a Transformation Roadmap to our clients. Long-term focus (3 – 5+ years): The most obvious one. CM must involve a much longer planning horizon. Most sourcing strategies we see are in the 1-2 years, sometimes 3 year time frame. Remember that the length of a contract does not mean the same as a planning horizon. Just because you executed a 3 year contract does not mean you have a 3 year strategy for that category. We often run into this fallacy. Category Management is a vital part of the corporate strategy: What this means is that the corporate strategy process is integrated with the Category Management strategy process. Corporate strategies are complete only when CM strategies are incorporated. KPI’s for the company are indistinguishable from Procurement’s KPI’s: KPIs are a key enabler of change and our KPIs cannot remain procurement centric. Adopting the organizational KPIs goes a long way in creating alignment AND getting engagement and support from executives and stakeholders. It also drives a totally different mindset within the procurement function. This is typically an area that many of our clients struggle with initially because tying in their activities to corporate KPIs seems like such a stretch to them – it’s really not 🙂 . Scope of Category Management strategy is the end-to-end Supply Chain from suppliers’ suppliers to customers’ customers: This comes from systems thinking. Lead time promised to customers has a significant impact on our contracts with suppliers. CM adopts systems thinking at its core and knows that any change in one part of the “system” has an impact on the entire system. CM assesses the impact of a supplier’s ability to manage their suppliers. Procurement participation is essential to corporate strategic initiatives: There is clear recognition by the company that any critical initiative requires the participation of Procurement – during initiation. For example, a Strategic Workforce Planning initiative needs procurement involvement to ensure that the supply market capabilities to support critical resource needs is part of the initiative. Procurement is indispensable for new product, new market, new customer, margin enhancement, value drivers, etc. : How can a NPD (New Product Development) process be effective without total immersion of procurement. Any NPD team MUST have procurement as a core member. Procurement is called upon to drive strategic planning for the organization: This has to do more with the competencies that procurement has developed when they are doing CM. 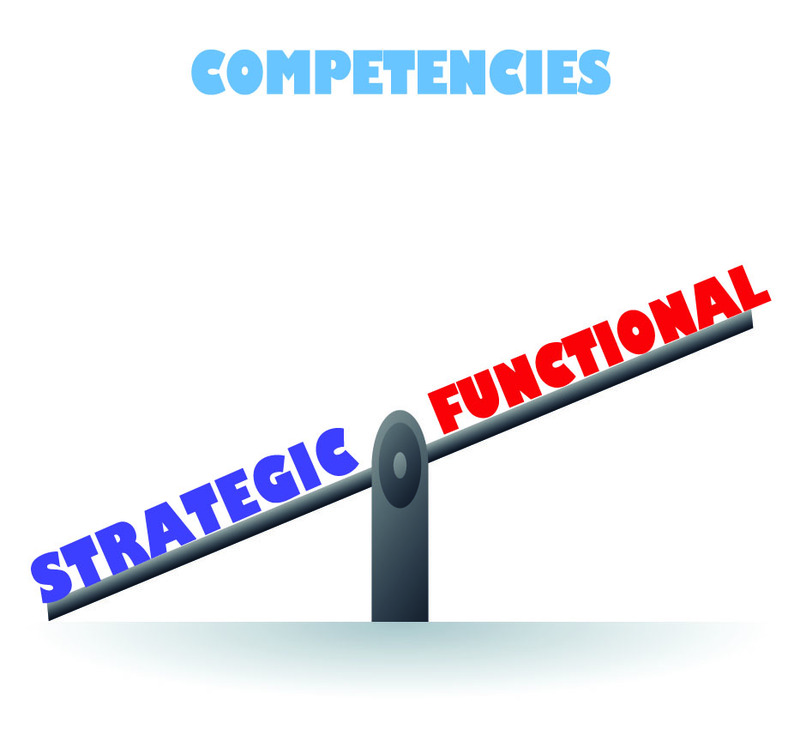 Because CM requires a much higher order of competencies and specifically Strategic competencies, executives call upon Procurement to help drive other strategic planning activities. Procurement becomes a defacto center of excellence for non-procurement related activities and functions as an internal consulting group. So where are you on the journey to CM? Have you determined what areas you need to be working on? Do you know where your biggest gaps are? Have you come up with a plan of action or a roadmap to help you get there? Do you know what your end point looks like (if you don’t know where you are going, how will you know when you get there)? If you would like a little bit of help on some of these questions – no worries – we’re here to help! Just send us a S.A.S.E. and a check for $19.95 and we’ll send you a magical kit, with a money back guarantee and all you have to do is wave the magical wand (just kidding). What we can offer you is a Maturity Model Assessment at a highly discounted (50% off) fee that will answer a lot of those questions at a high level and either validate what you are doing and help enhance your efforts or help you get moving in the right direction. Either way, your journey towards Category Management gets a jolt of accelerant. Think of it as a “legal” steroid shot to enhance your groups’ performance. Oh, and we’ll include the money back guarantee if you’re not satisfied. We will set up time with you and other members of your leadership team to share the results of that assessment and a comparison to many, many other organizations who have also gone through the Maturity Model Assessment. As the song says, “what have you got to lose”. ACT NOW while quantities last 🙂 ! 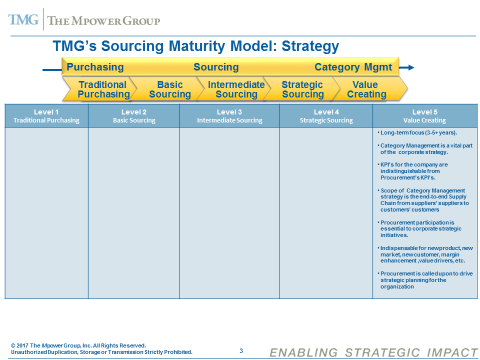 Previous ArticleDo You Know the Difference Between Strategic Sourcing and Category Management? 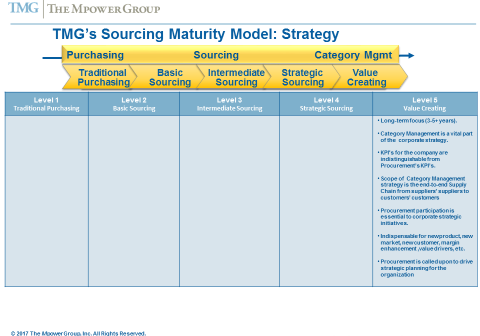 Next Article Do You Know the Difference Between Strategic Sourcing and Category Management? –The Discussion Rages On….